A multi-sensory trail for people with learning disabilities and mental health issues. Old Tree Nursery is a plant and garden nursery set in a beautiful rural setting in Pendeford near Wolverhampton. They offer training and employment opportunities for young people and adults with learning disabilities and mental ill-health. 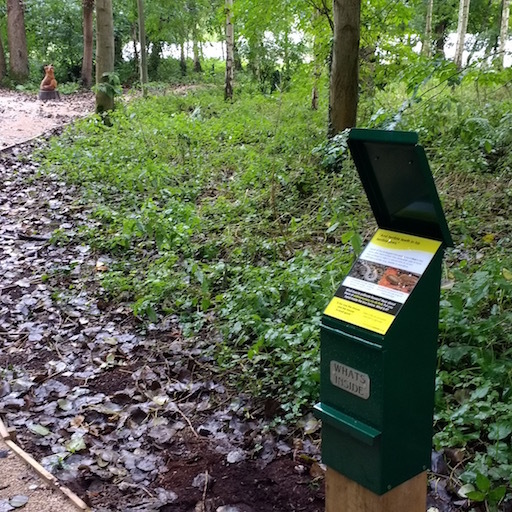 Audio Trails were commissioned to install engaging and educational signage through their small woodland. 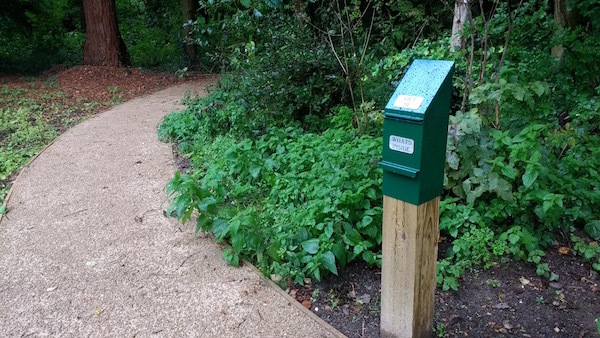 Following discussions with those who were going to use the trail, our solution was to custom design and build interactive ‘nature feely boxes’ for a Gruffalo-inspired trail. 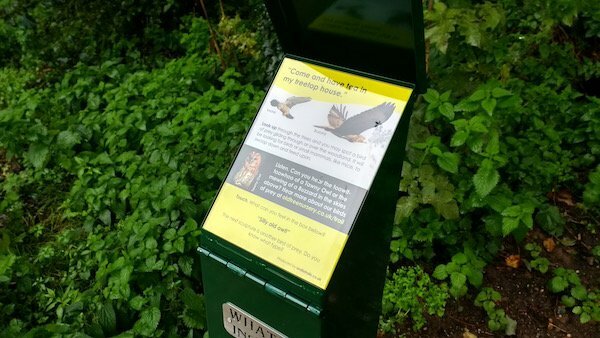 Each box has a lift up flap to reveal a small themed interpretation panel, with links to online content. Another flap contains feely items related to that theme. 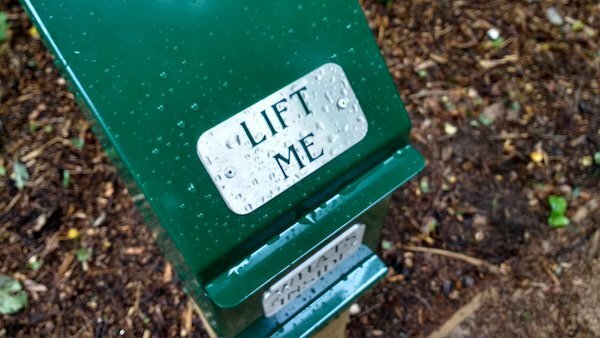 The boxes are located on softwood posts and interspersed between woodland chainsaw-carved sculptures throughout the woodland. “The job was originally sourced by our Director but Dan was very thorough and efficient in helping me pick up from where she left off. Our Service users are vulnerable adults all with different mental and learning disabilities. The boxes have the ability to reach all levels of learning and age.